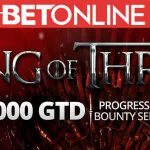 BetOnline Poker is offering players a massive incentive to play its new Windfall Sit & Go and Boost cash games by giving them the opportunity to qualify free of charge for the biggest tournament in the site´s history at the end of the month. In the past, BetOnline Poker has not been renowned for the value of its online tournaments. On a typical weekend, the combined guaranteed prize pools of the site´s feature tournaments amount to less than $150,000. 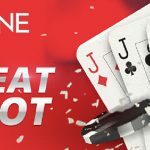 Only on the last weekend of each month – when BetOnline Poker increases the guarantee on its feature event to $100,000 – does the site ever get close to paying $200,000 in prize money. However, things appear to be changing at BetOnline Poker. In recent weeks the site has introduced new Windfall hyper-turbo Sit & Go games and fast-fold Boost cash games. The size of the weekday tournament guarantees is inching upwards, and now the site has announced it will increase the guarantee for its end-of-month feature event to $150,000 – for January at least. The $150,000 guaranteed event at BetOnline Poker will take place on Sunday 28th January at 7:00pm. It has a direct buy-in of $165.00 or players can take advantage of a comprehensive satellite and sub-satellite schedule to win one of the 27 seats guaranteed each week. The tournament is also being supported by a Steps Sit & Go promotion with the lowest entry point being at freeroll level. Players familiar with BetOnline Poker´s Steps Sit & Go promotions will notice a few changes this month. The number of Steps has been reduced from four to three, with the buy-ins for the 6-Max Sit & Go games increased to $1.50, $7.00 and $30.00. There are also changes to the freeroll stage, which now only awards five seats into the Step 1 Sit & Go games (previously thirty seats). 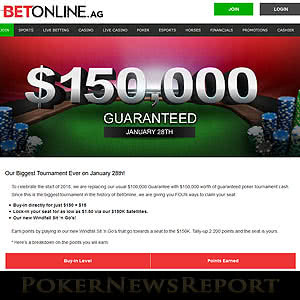 To incentivize players to visit the site throughout January, BetOnline Poker is running a promotion through which players can qualify for free for the $150,000 guaranteed tournament. All players have to do is play the new Windfall hyper-turbo Sit & Go games and – win or lose – they will be awarded points according to the cost of the buy-in. There is plenty going on at BetOnline Poker, making it a great place to play right now. In addition to the new games and promotions feeding into the $150,000 guarantee tournament, the Bad Beat Jackpot has just been reseeded with $273,000 after it was won last week. 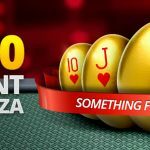 The weekly $10,000 cash race continues to remain competitive, plus there is a further $10,000 up for grabs each week in the Sit & Go and MTT leaderboard challenges. 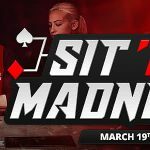 If you would like to be part of the action, and qualify for the biggest tournament in the history of the site for free, visit BetOnline Poker today. However, before you go, be sure to read our BetOnline Poker review that includes instructions on how to get a double bonus when you make your first deposit. Then we recommend you head straight for the Boost NL Hold´em tables, where you will be able to clear the bonus quicker and collect the points required to exchange for a free seat in BetOnline´s $150,000 event.